The Village of Minster acquired farm land adjacent to the village to use for a well field. The location was well suited for a much needed village recreational park. Garmann/Miller developed a site concept for the park and presented to the community for input. The result was a 1.8 acre pond created for fishing and playground equipment located near the main entrance parking area and in the rear of the complex. There are five shelter houses available with restrooms, one with a center fire pit. Walking trails allow visitors to meander through the park. For winter recreation activities, a high sledding hill is located in the north east corner of the complex and the pond is available for ice skating. 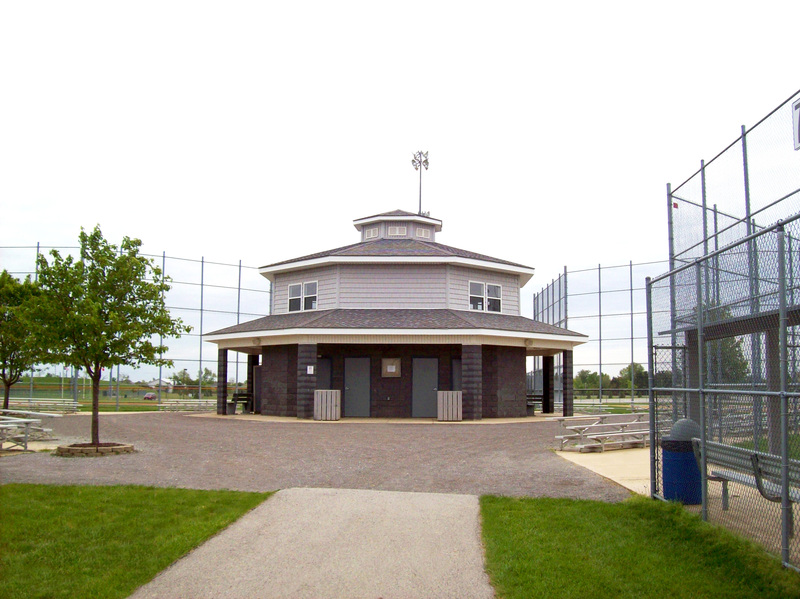 The park hosts eight lighted ball diamonds, 4 little league, 2 softball, and 2 baseball. Located at the center of each diamond complex are restroom and concession facilities along with functioning press boxes and scoreboards. Batting cages are also available.